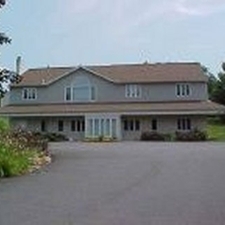 Hidden Springs Veterinary Hospital was founded in 1991 by Dr. Susan Mosier, a 1978 graduate of the University of Pennsylvania School of Veterinary Medicine. It was her desire to provide the same kind of personal attention in a full service companion animal hospital as she did during her previous 8 years as a house call veterinarian. In its first year of operation, Hidden Springs Veterinary Hospital received accreditation from the American Animal Hospital Association (AAHA). We are very proud of this accomplishment, as only approximately 18% of small animal hospitals in North America can claim this distinction in meeting AAHA's high standards for quality veterinary care. Hidden Springs Veterinary Hospital has maintained it's small, friendly, personal atmosphere while striving to deliver up to date progressive services and care.